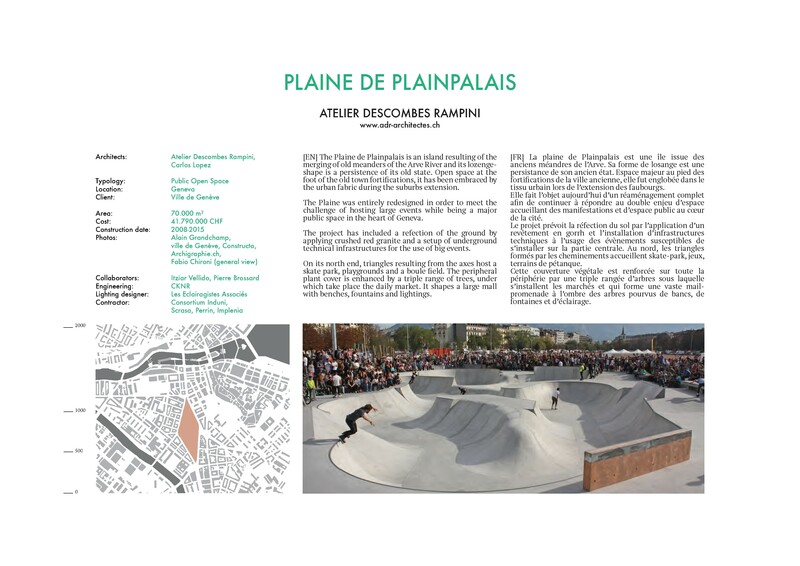 The Plaine de Plainpalais is an island resulting of the merging of old meanders of the Arve River and its lozengeshape is a persistence of its old state. Open space at the foot of the old town fortifications, it has been embraced by the urban fabric during the suburbs extension. 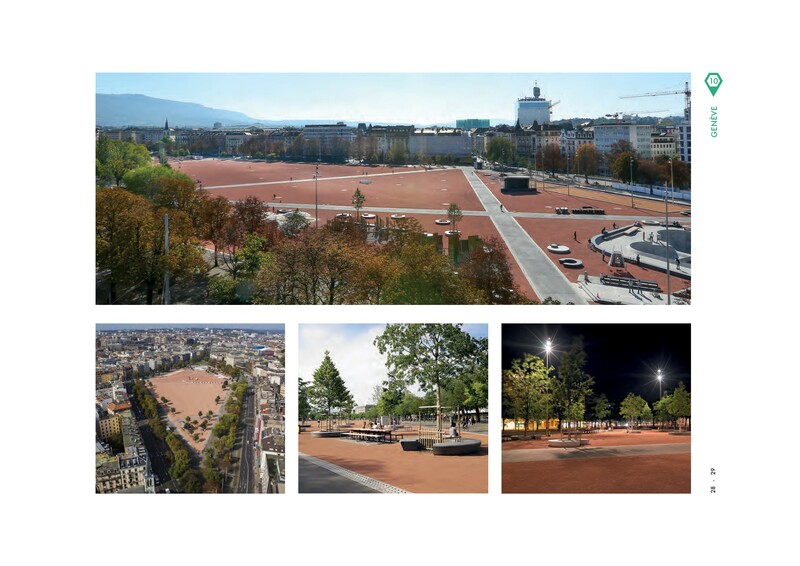 The Plaine was entirely redesigned in order to meet the challenge of hosting large events while being a major public space in the heart of Geneva. The project has included a refection of the ground by applying crushed red granite and a setup of underground technical infrastructures for the use of big events. On its north end, triangles resulting from the axes host a skate park, playgrounds and a boule field. The peripheral plant cover is enhanced by a triple range of trees, under which take place the daily market. It shapes a large mallwith benches, fountains and lightings.